Last week, volatility made a long-overdue return to the US and global equity markets. It began with a 2-day back-to-back violent drop. Day 3 saw a big rebound, swiftly followed by two more days of gut-wrentching losses. And then finally, last Friday, the day saw massive swings both high and low, ending with a huge upside run. During this period the S&P 500 lost more than 300 points. Since then, though, the market has been steadily rising. Is the danger past? 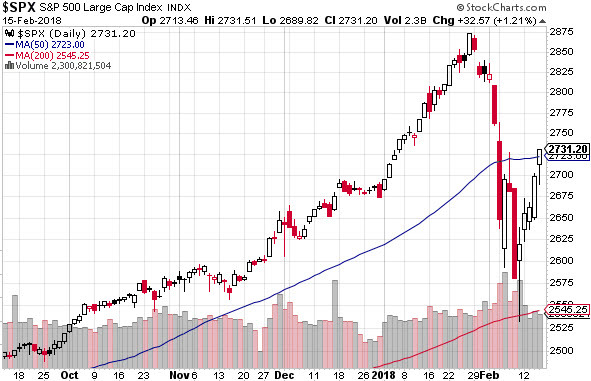 Are the markets safe once more? And if so, did the markets recover organically? Or were they rescued by The Plunge Protection Team (PPT)? If such intervention was rare we could almost justify it, if it took the form of simple, pre-arranged circuit breakers that shut the market down for a "cooling off" after they’ve moved too far, too fast. Indeed, these already exist, and are sufficient in our view. But if such market interventions are routine, persistent, and generally depended on by the major market participants, then they're highly destructive over the long term. Sadly, we live with the latter. Insiders get stinking rich by front-running the scheme (check). Normal adjustments are prevented (check), allowing dangerous bubbles of extreme overvaluation to form (check), while fostering malinvestment (check). Do this long enough and you end up with a deformed economy, an eroded social structure, and markets that no longer function as appropriate mechanisms for capital distribution and economic signaling. Too much of this and too little of that were produced. Cement, steel, and auto quotas harmed rather than helped for obvious reasons; poor information flows assured that production decisions were late or flawed or both. All this contributed dearly to the Soviet economy's collapse. Enormous damage has already been done by the interventions and distortions resulting from the pursuit of the delusional aims of todays central planners (with the world's central banking cartel being the most culpable). But it's poised to get a lot worse from here. The ironic parody of all the current US concern over the possibility of Russian meddling in US elections is that virtually nobody from either political party seems the slightest bit concerned that the US is actually recreating the very worst mistakes of the now-defunct Soviet empire. In point of fact, the Federal Reserve has done far more self-inflicted harm to long-term US interests than anything that Russia has been accused of, let alone been proven to have done. At this point, there’s no contest between the two. If the damage inflicted by the Federal Reserve had been done by a terrorist organization, it would for certain be public enemy #1. Pension plans, both public and private have been ruined. Millions of future retirees and taxpayers will not have trillions of dollars they would and should otherwise have to support them in their later years. 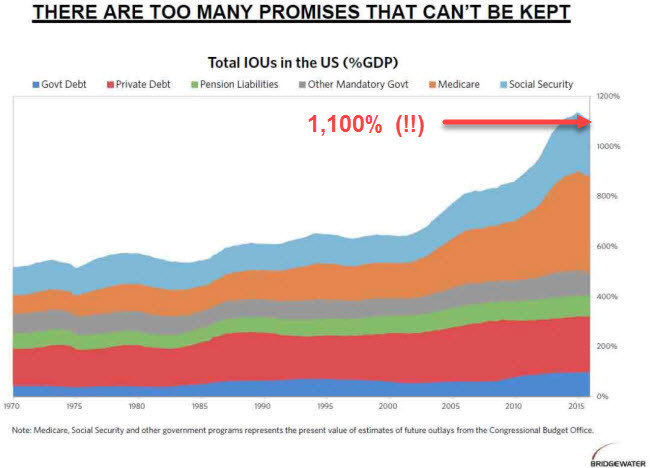 More than a trillion dollars of interest payments on savings accounts has been forfeited -- denying funds to the next generation for use in business creation, household formation, and education. Total debt in the US and globally is up massively since the 2008 Great Recession (itself a central banking accident), and now stands at more than $233 trillion worldwide. 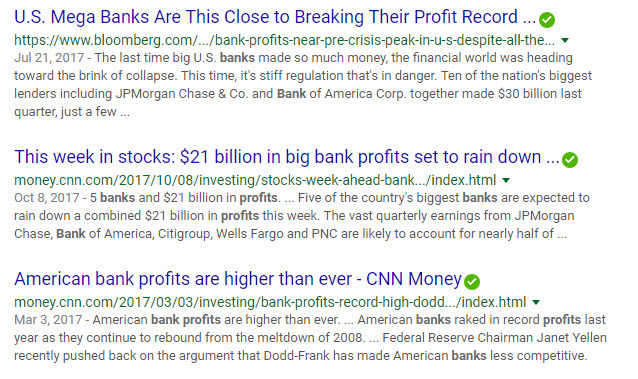 These are among a few of the destructive results of the Federal Reserve’s decision to lower interest rates to 0% in order to reward the big banks, well connected private equity firms, and unrestrained government borrowing. Of course, when you print money (as the Fed does) you cannot create wealth; you only transfer it from one party to another. Put another way, the Federal Reserve and its foreign partners (the BoJ, ECB, etc.) have been picking winners and losers. Losers have been seniors dependent on a fixed income, Millennials and every generation following them, and savers, pensioners, and taxpayers. The winners have been the banks, the ultra-rich, entrenched political parties, rentiers, and baby boomers with sizable financial portfolios. 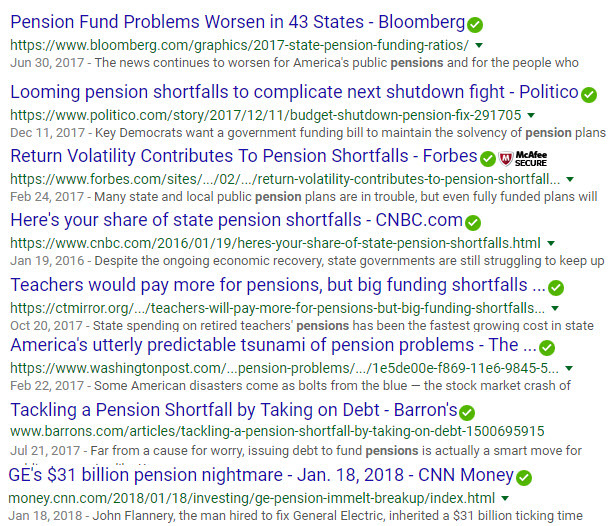 The catastrophic losses that will result from these massive pension shortfalls is nothing less than an act of domestic terrorism by the Federal Reserve. They will haunt the US for generations. Put more bluntly: approximately 90% of US citizens have been financially and economically tossed under the bus simply so that the already-rich could get a little richer. If that’s not a form of terrorism, I don’t know what is. None of that could have happened under responsible banking practices. Instead, such excess was enabled and encouraged by an activist Federal Reserve that loosened and loosened some more whenever reality began to exert itself. They did this to reward themselves and their colleagues and banking associates. It has been a series of self-dealings and unchecked conflicts of interest. My point here? None of this was done by accident. It has been deliberate and done with full intent to create exactly the conditions in which we find ourselves. Sure, we could go ahead and obsess over the claim that somehow an insignificant $100k worth of Facebook ads purchased by Russia are somehow responsible for our current misery and overall state of domestic neglect. But we'd be focusing on entirely the wrong parties. The worst threats we face are right here at home. As bad as the damage done so far has been, the real pain has not yet begun. When it comes to repaying the current global debt levels of ~310 % of GDP, we can confidently predict that such a debt load can never be repaid. They can only try to roll it over as long as they can -- which can't go on much longer without real consequence. Mounting losses are certain at this point. In Part 2: It's Even Worse Than You Think, we reveal the much further extent of the racket being run against the public by the world central banking cartel, and how it's efforts to continue this racket have sentenced us all to another massive financial/economic crisis -- one that is both now inevitable, necessary, and overdue. By preventing that which should happen, the central banks have set the stage for an enormously dangerous and disruptive market crash. The kind that forces markets to close for days and weeks on end. The kind that leads to major banking crises punctuated by 'holidays’ where depositors can not access their money. The kind where disorder and social unrest becomes a real risk.